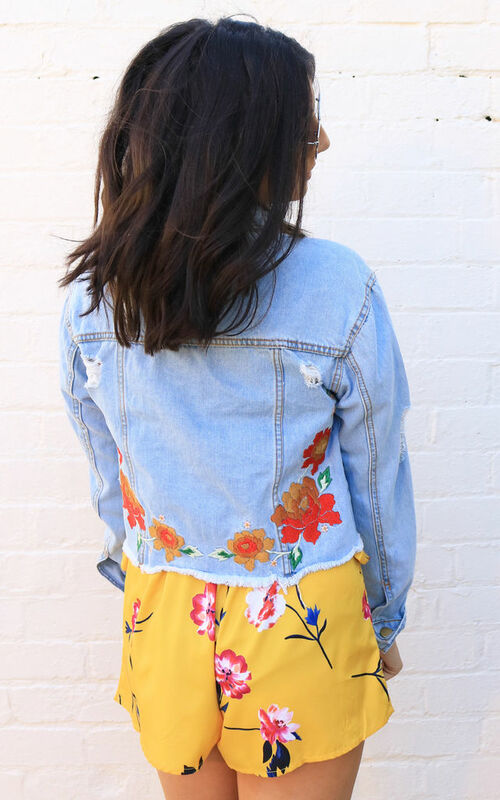 Cropped denim jacket with embroidery detail to shoulders and back in yellow and red tones. Light blue wash with distressed rip detailing. Non-stretch denim. Classic point collar. Button placket. Raw ripped edge hemline. Silver colour hardware. 100% Cotton. Model is 5' 7" and wears a size XS.